It had been an arduous four month journey crossing the Atlantic. The first English settlers in the New World were tossed and heaved in small ships on the open ocean. Reaching the shore of Virginia John Smith and his party found lush green forests, plentiful food, sunshine and the Kecoughtan Indians as they made their way up river to Jamestown. Share their sense of awe as you too discover this world 400 years after John Smith and his men made landfall. Apart from the history of the first settlements and the struggle for independence you’ll be treated to the Blue Ridge Parkway, considered by many the most scenic drive in North America, the delightful Atlantic seashore and the wide sweeping boulevards of the nation's capital, Washington DC. A personalised road book with travel tips and day to day driving itinerary with local area information. Discover how the Virginia colony begun, the impact of the Revolutionary War on Virginia and why more Civil War battles were fought in Virginia than anywhere else. 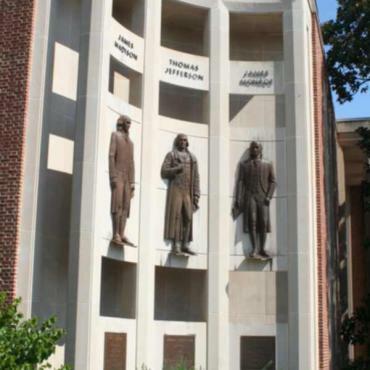 During your time in Williamsburg, take a visit to the Virginia Historical Society museum. With 10,000 square feet and 10,000 artifacts, the Story of Virginia tells the story of the Commonwealth from start to finish. This morning a visit to the Jamestown Settlement (reconstructed by the Jamestown Foundation) will show you where it all started 400 years ago. It will be most beneficial to begin by viewing the new Introductory Film and recently opened 30,000 square foot exhibition gallery filled with hundreds of objects unearthed from archeological digs at the site. This new exhibit has been designed to explore three foundational elements of colonial Virginia; Jamestown’s beginning as a business venture, the impact of the settlement on the Powhatan Indians, and the origins of the first African Americans brought to Virginia. Replicas of the Susan Constant, Godspeed, and Discovery, the ships that brought the colonists to the New World, are anchored off the Jamestown Settlement. You’ll be amazed at how small they are. It’s hard to believe vessels that small could survive four months on the high seas. 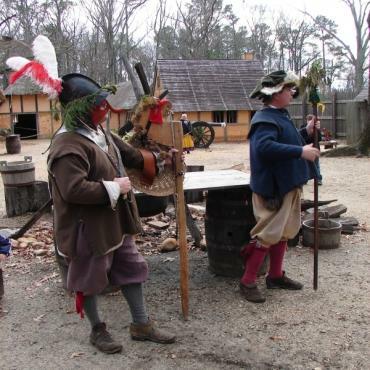 Also on the site, the reconstructed Powhatan village John Smith discovered is complete with gardens, reed covered houses and other implements used in daily life. You can try your hand at gardening or working at one of the other daily tasks that were required to support Powhatan village life. Next door, Historic Jamestowne, part of the Colonial National Historical Park was constructed on the actual site where the colonists lived. You can walk in the footsteps of John Smith and the original trading party who established the first permanent settlement here in 1607. Old Towne includes the original area of the Jamestown Fort and New Town, the area surrounding the fort. The Island Loop Drive, a five-mile, one-way road through the surrounding swamps and forests reflects the landscape as it appeared when the first settlers arrived. Pull-offs and waysides along the road point out the industries in which the early colonists attempted to create a profitable living. 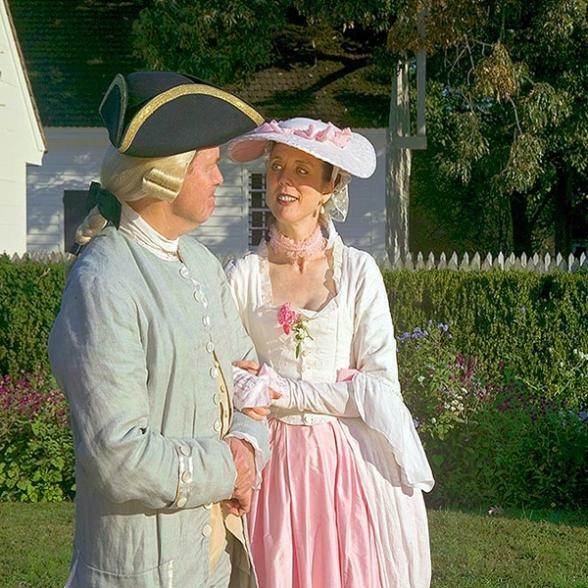 There will be plenty of time to explore Colonial Williamsburg in detail today. Serving as the capital of the Commonwealth of Virginia from 1699 to 1780, Williamsburg was the centre of power in the largest and most influential American colony. During the 150 years following the move of the capitol to Richmond, Williamsburg became a quiet college town, home to the College of William and Mary. In 1926, Reverend Goodwin, with the help of John D. Rockefeller, acquired 85% of the area of the 18th century colonial capital and began restoration. Now you can marvel as you walk the streets where Thomas Jefferson, George Washington, George Mason and Patrick Henry sealed the fate of the new nation. An amazing 88 of the 500 buildings in Colonial Williamsburg are original. The others have been painstakingly researched, rebuilt and refitted with the authentic materials of the day. Reenactments of the political undertakings are ongoing. 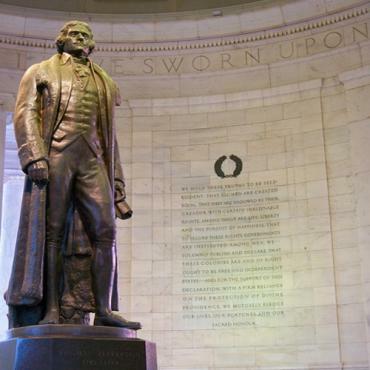 Don’t be surprised if you find yourself in conversation with Henry, Jefferson or Washington. The living history interpreters at Williamsburg are really good. Exploring near Jamestown, Captain John Smith found the fully established village of the Kecoughtan Indians in 1608 where the City of Hampton, now the oldest continuous city in the US, stands today. The strategic location made it a great shipping port and trade centre, something that had already been discovered by the Native Americans. The Hampton History Museum tells the fascinating story of this resilient city that has been burned several times and always sprung back to life. Armed with that foundation, a visit to St. John’s Church introduces you to the oldest Anglican Parish in America, established in 1610. In the current church, the fourth Parish site constructed in 1728, priceless stained glass windows tell the story of the evolving congregation. One small window bears the seal of the Society of the Propagation of the Gospel in Foreign Parts. Another, with a likeness of Pocahontas, was given by Native American students from Hampton University who participated in the Parish. Still others depict the wealthy patrons who made the church and the Parish possible. Later this afternoon, we suggest getting out on the Chesapeake Bay on the Miss Hampton II Harbor Tour which departs directly from the Hampton waterfront. After breakfast a drive from Hampton to Virginia Beach takes you first through Norfolk and be sure to visit the Battleship Wisconsin, the Hampton Roads Naval Museum and Nauticus and if time allows the Victory Rover Naval Base Cruise provides a wonderful tour of Naval Station Norfolk the World’s Largest Naval Base. Continue on to First Landing State Park where John Smith’s party actually first landed. As you stand on the beach, try to imagine how it felt to be one of the first English colonists. In addition to being Virginia’s most visited state park, First Landing has 19 miles of trails, interpretive programs and the Chesapeake Bay Centre. It is also the location of the Cape Henry Memorial and the Cape Henry Memorial Cross, commemorating Smith’s first landing. In Virginia Beach, the 1680 Adam Thoroughgood House provides great insight into the lifestyle of early Virginians. Restored to its original 17th century appearance, the entire low-eaved, one and one-half story structure measures 45 x 22 feet. When all vestiges of the 18th century changes were removed, strategically placed glass inserts revealed significant and important details of the original construction. 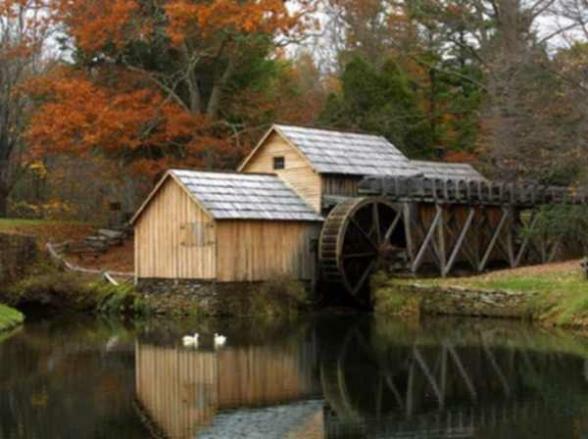 If there’s time, this afternoon, you can spend time in a small part of Virginia that few travellers visit. 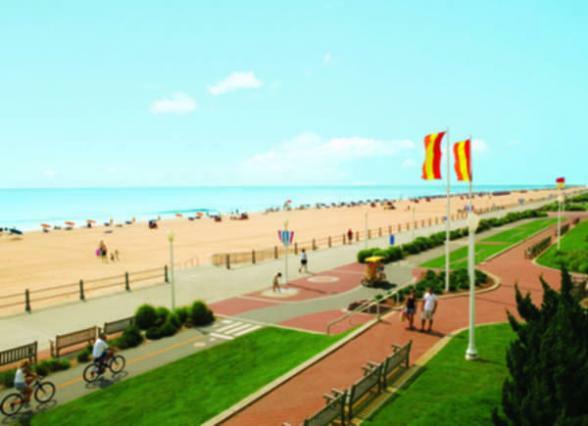 Virginia’s Eastern Shore, extending from Maryland on the Delmarva Peninsula, is reachable from the south only by the Chesapeake Bay Bridge-Tunnel, a 20-mile long, four lane highway. 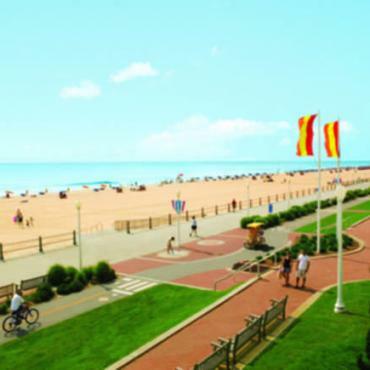 After you’ve seen it all, it’s time to cross back over to Virginia Beach and your accommodations for the evening. Enjoy a stroll on the Boardwalk before locating a great place for dinner. 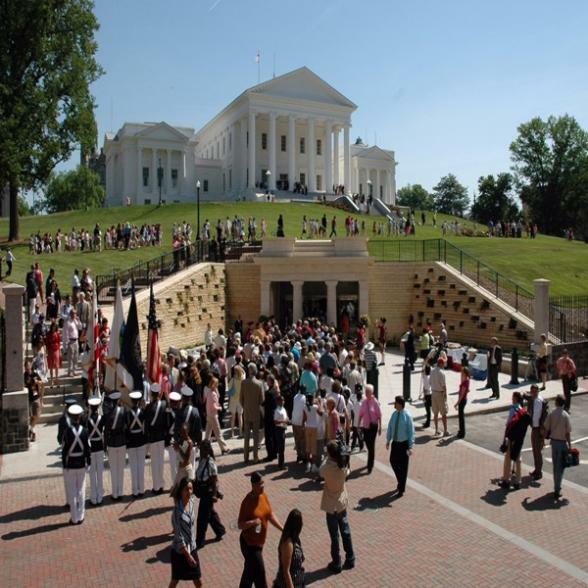 Leaving coastal Virginia today, travelling west on US Route 58 takes you through southern Virginia, a region with world-class speedways, mansions, driving tours and Thomas Jefferson’s retreat, lush parks, vast lakes, great antique shopping, and award winning Virginia wines. The quiet historic towns and bustling streets of the region’s contemporary cities belie the vast plantations that once covered the region. The fields have an incredible story to tell even the most casual visitor. In some places, it can feel like time has stopped. The gentility and hospitality are genuine, harkening back to a bygone era when life moved at a slower pace and civility was the custom of the day. Thomas Jefferson built his retreat in this area to escape the constant guests at Monticello. Patrick Henry retired here to live in one of the garden spots of the world. As you travel rural byways past lush green fields, spotting a mansion every now and then, you’ll begin to realise that southern Virginia projects its own unique brand of the Southern way. Reaching Red Hill, The Patrick Henry National Memorial, you’ll quickly realize that Henry’s lifestyle was not as grand as America’s other founding fathers. There’s a certain serenity where he chose to retire over the 11 other locations where he had lived in Virginia. Looking out over the Staunton River, you’ll understand the appeal of the property and its landscapes. There are seven historic structures to explore, as well as a museum with more Henry memorabilia than any other location. Henry’s Law Office is the only original structure remaining on the property. The remainder are reconstructions on original foundations. That fact, however, does not take away from the history of this remarkable man or his memorial. From there, it’s a short drive to Halifax, Virginia, where it feels like you’ve stepped back into colonial Virginia. With gently curving roads, flowering trees and serene landscape, some say Halifax is the prettiest historic town in Virginia. In addition to homes, the Walking Tour of Mountain Road also takes you past two antebellum churches, the 1828 Masonic Hall and the Courthouse and Clerk’s office, which both date from 1839. These structures were all the work of Thomas Jefferson’s master builder. This morning it’s time for a cross country drive on southern Virginia scenic byways to Thomas Jefferson’s Poplar Forest, begun in 1806. Wrenched from near ruin in 1984, this was the country retreat that Jefferson used to escape the constant hospitality that Monticello was expected to deliver. His writings reveal his pleasure in the quality of the octagonal design. It was a place where Jefferson got to play with his grandchildren, read in his study and relax in the mountain air without the trappings of a statesman. As the house deteriorated, passing through multiple owners, the 4,800 acres that Jefferson amassed gave way to local subdivisions and reduced the size of the property to a mere fraction of the original acreage. Today, with the restorations nearly complete, you can see how Jefferson lived at Poplar Forest and explore the artifacts that have been uncovered around the house. While you’re in the Roanoke area, you have the option to explore downtown in more detail before heading farther north on the Blue Ridge Parkway. 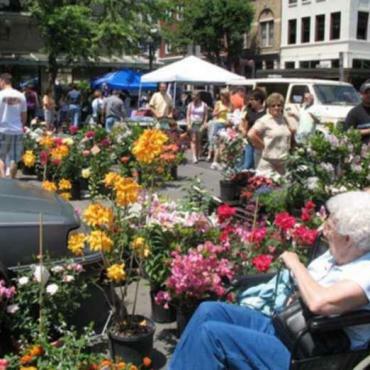 There’s a Walking Tour of Downtown Roanoke that takes you through Center in the Square, the bustling renovation that includes three museums, the original Historic City Market open seven days a week to showcase local produce and Virginia products, and the boutiques, shops, and restaurants in the area that surrounds it. You can also visit the History Museum of Western Virginia, located in Center in the Square, for a look at the history of the town that began as Big Lick. At Milepost 85.6 on the Blue Ridge Parkway, the Peaks of Otter Visitor Center sits across the road from Abbott Lake which features a 1-mile loop trail around the lake. Bus rides to within 1,500 feet of the Sharp Top Summit are available at a station not far from the Visitors Center. Historic buildings at this location include the Johnson Farm and Polly’s Ordinary. 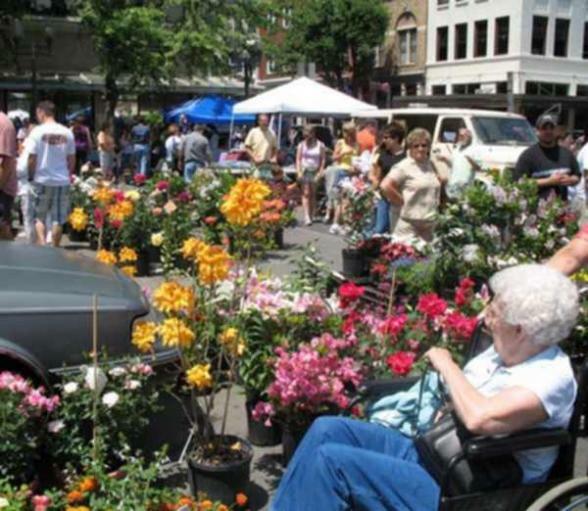 Upon arriving in Lexington, Virginia, we suggest you start your visit with a Historic Downtown Walking Tour. 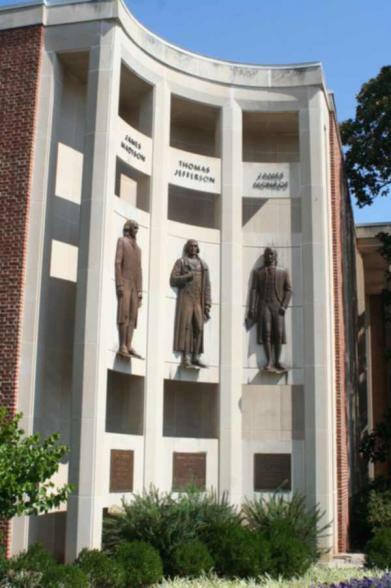 There are really three walking tours in Lexington: one in the central historic district, another in the residential area, and still a third on the campus of Washington and Lee University. Leave the Washington and Lee University walking tour until last to explore the campus more in depth. Formerly known as Washington University, the school credits its existence to a loan of shares in the James River Company from George Washington that saved the institution from bankruptcy. In respect, a carved wooden statue of Washington stands on the dome of the cupola overlooking Lexington. The university changed its name to Washington and Lee University when the famous Confederate General Robert E. Lee came to teach after the Civil War. The Lee Chapel, built under his supervision, remains the way Lee left it 135 years ago. A sculpture of the General resting on the battlefield, created by noted artist Edward Valentine, graces the chapel along with many items and portraits that belonged to the Lee family. 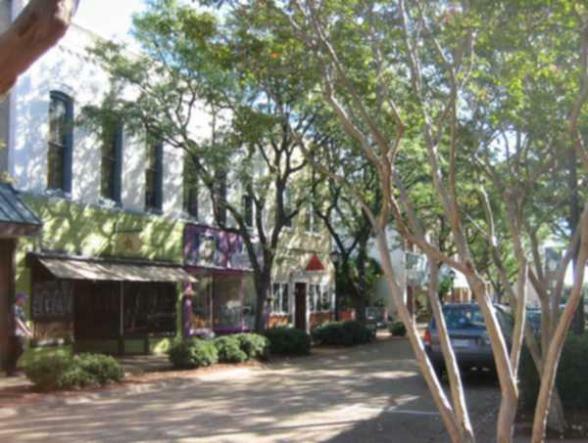 At sometime during the day you’ll want to have lunch in downtown Lexington where there are many fine places to dine. While downtown you can also explore the Stonewall Jackson House, the only home ever owned by Civil War General Thomas 'Stonewall' Jackson. He lived here with his second wife prior to the Civil War while he was an instructor at the Virginia Military Institute (VMI). 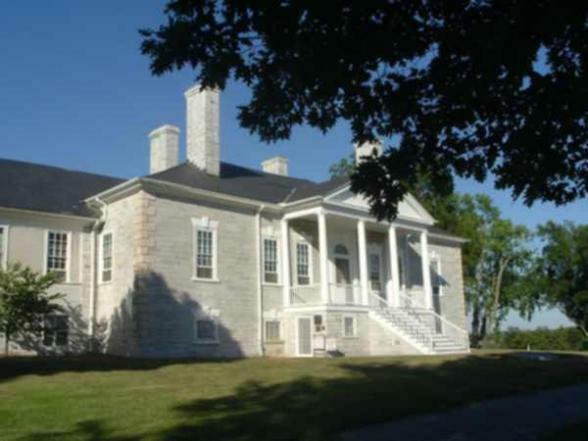 Another point of interest on the VMI campus is the George C. Marshall Museum and Library. It was founded by President Harry Truman in 1953 as a tribute to Marshall who helped rebuild Europe after the World War II. He also served as Secretary of State and Secretary of Defense in the Truman administration and was recognized with the Nobel Peace Prize for his work. From here, it’s a short drive to Staunton, to be positioned in a great place to explore tomorrow morning. 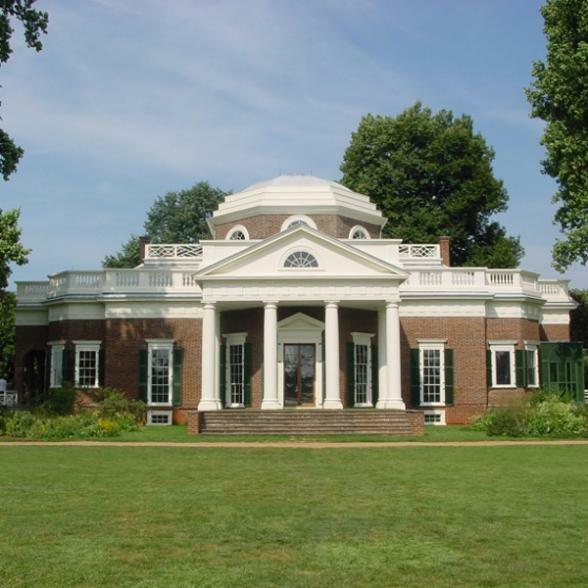 We suggest your first visit this morning be to Monticello, one of the most intensely interesting homes on the North American continent. Thomas Jefferson’s masterpiece, with graciously balanced neo-Classical architecture, was named a World Heritage Treasure by the United Nations. Jefferson’s fascination with science, art, and many common sense applications of technology, revolutionary for the day, are on display. Jefferson regarded his extensive gardens and vineyards as his workhouse of nature. Interestingly he is responsible for the entire wine industry in America, having introduced the first wine grapes from France on his plantation. Across the road from Monticello, the much smaller Ash Lawn-Highland home of President James Monroe, was situated so that Jefferson’s Monticello could be seen from the front porch. Many of the furnishings in Ash Lawn-Highland are priceless artifacts used by President Monroe and his family. 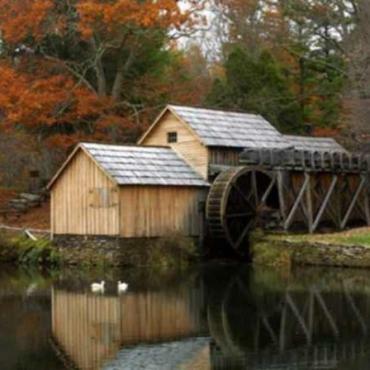 Coming down from Jefferson’s mountain, you can take a Virginia Scenic Byways through some of the state’s most beautiful countryside to Montpellier, the 2,700 acre former home of President James Madison and Dolley Madison. This property is presently undergoing an astounding restoration, reducing the house from the 55-room estate created by the DuPont family to the 22-room home actually occupied by the Madison’s. Once completed, Montpelier will be transformed back into an authentic late 18th century estate property surrounded by glorious gardens. The James Madison Landmark Forest, a National Natural Landmark occupies a portion of the land. From Charlottesville, it’s a short drive to the start of the Skyline Drive, the wonderful road that traverses Shenandoah National Park from top to bottom. Plan to savour your time on this road nestled deep in the forest. Stay within the 35 mile an hour speed limit to let the spectacular views flash through your car windows. 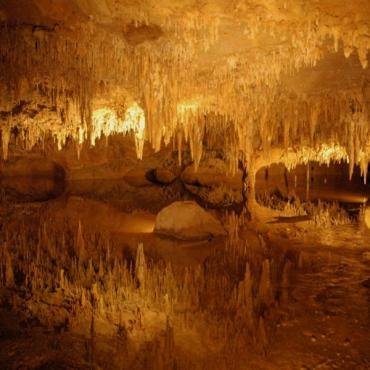 As you near Front Royal, you’ll reach Luray Caverns, the largest environment of dripping and building stones on the East Coast, kept at a comfortable and constant 54 degrees Fahrenheit. Once underground, you’ll feel like you’ve travelled to a netherworld of stones rising and stones descending. The natural structures, including one that looks like a fried egg, are both timeless and terrific. Your accommodations for this evening are in Winchester, the historic town tucked at the top of the Shenandoah Valley. 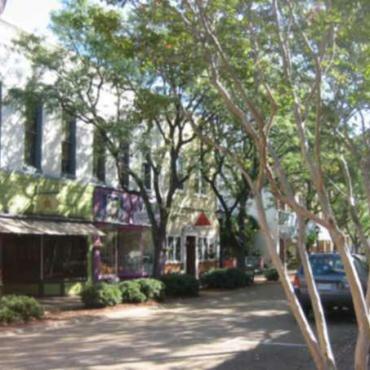 You can enjoy the Walking Tour of Downtown Winchester if there’s time. After breakfast this morning you can tour Abram’s Delight, it is a true treasure and the oldest house in Winchester. Built in 1754, it was home to the Hollingsworth family, Quakers who moved to the region from Britain to avoid religious persecution. The home, now a museum, is furnished with irreplaceable treasures owned by the original family. Just outside downtown, the Glen Burnie House Museum is surrounded by six acres of beautiful formal gardens. It is furnished with 18th and 19th century antiques, paintings and decorative art collected by Julian Wood Glass Jr, the last descendent of the original builder to live in the house. When opened as a museum, the house was presented exactly as the Glass family left it. Glen Burnie is also home to the Museum of the Shenandoah Valley, dedicated to the history, art, and culture of the Shenandoah Valley. In addition to five exhibition galleries, the unique structure designed by American contemporary architect Michael Graves, has a learning centre and tea room. 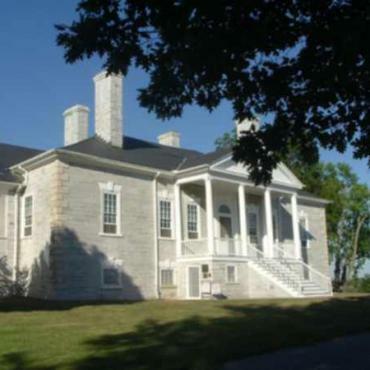 From Winchester, it’s a short drive to the Belle Grove Plantation, built in 1797. As you approach the house, you’ll understand immediately that this magnificent structure was designed as an ostentatious display of the owner’s wealth and social prestige for a First Family of Virginia family which included the sister of President James Madison. Built of limestone quarried on the property, it was sited to have incredible views across the valley. Furnished with period pieces and priceless antiques, this is Virginia’s colonial history at its finest. 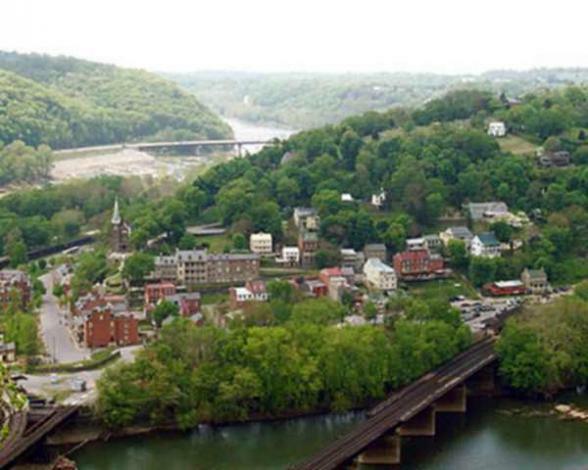 Leaving Winchester, it’s a scenic drive to Charles Town, West Virginia, founded by President George Washington’s brother Charles in 1786. The Walking Tour of Historic Charles Town introduces you to a picturesque collection of homes, churches and public buildings. A short drive on the George Washington Heritage Trail National Scenic Byway, reveals the homes of seven generations of Washington’s. Nearby, Harpers Ferry National Historical Park was the location of John Brown’s famous raid that brought national attention to the emotional divisions concerning slavery in the United States. The town was frozen in time by the National Park Service, in the year 1863, to remain as it appeared at the start of the war. Founded as a ferry crossing by Robert Harper in 1761, Thomas Jefferson thought the view down the river at the confluence of the Potomac and Shenandoah Rivers was worth crossing the ocean for. 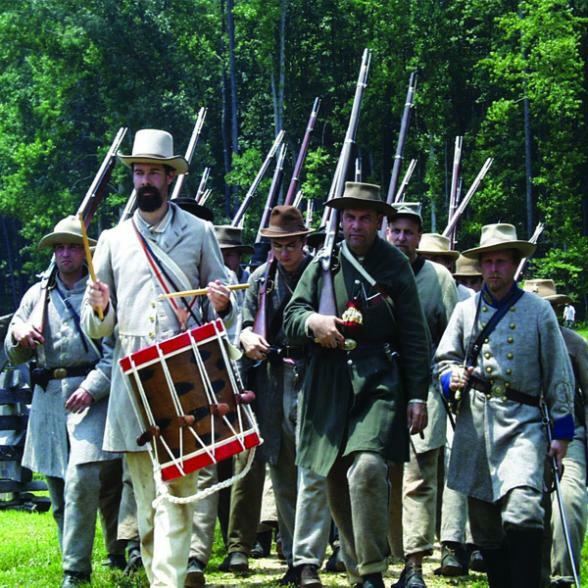 Exhibits at various restored structures interspersed within Harpers Ferry tell the story of the Civil War, as well as revealing the original town lying beneath. A shuttle bus takes you from the top of the hill into town, alleviating the need to navigate the narrow streets by car. 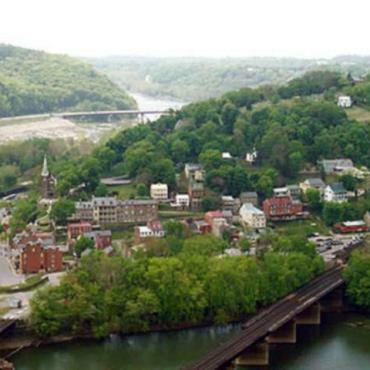 A fabulous scenic drive from those towns takes you through Hillsboro, a small village built entirely of stone. Farther on, Leesburg, settled in the 1750s as George Town was renamed Leesburg to honour the First Virginia Family, the Lee’s, in 1758. As in all of its sister historic towns in Loudoun County, many structures from the early years of the town have been lovingly restored, readapted and are still in use. 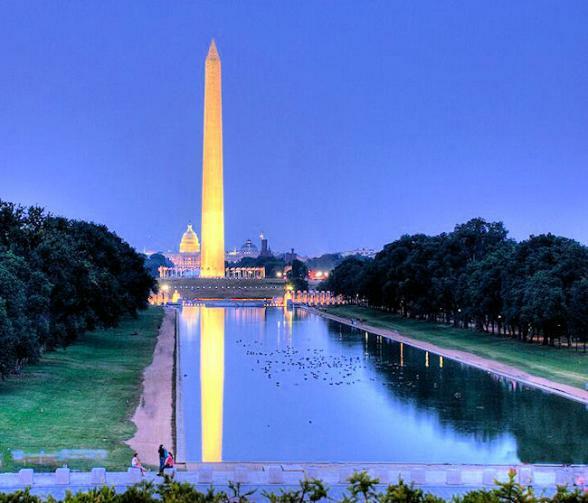 Many visitors to Washington, D. C. see only the National Mall, the Capitol Building, the White House and the Washington Monument. We agree these are likely the most important locations and we recommend that every visitor to Washington visit each one. However, we also know the city holds so many other treasures. The National Mall is anchored on one end by the US Capitol Building and the other by the Lincoln Memorial. In between, the offerings of the Smithsonian Museums span the globe. The Jefferson Monument on the Tidal Basin is directly across the other axis from the White House. The National Gallery of Art, the United States Holocaust Memorial Museum and several other great museums are located nearby. Away from the National Mall, the National Cathedral and National Zoo should be on anyone’s list of must-see’s. 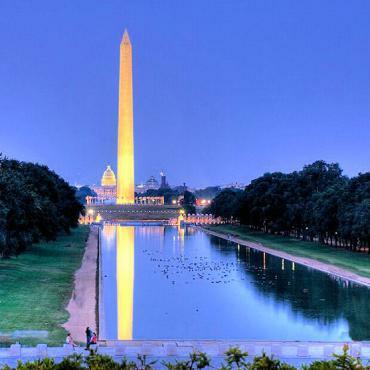 We think you should try to include them all in your visit to get a broad and encompassing perspective of Washington, D.C. and the unique heritage it holds. 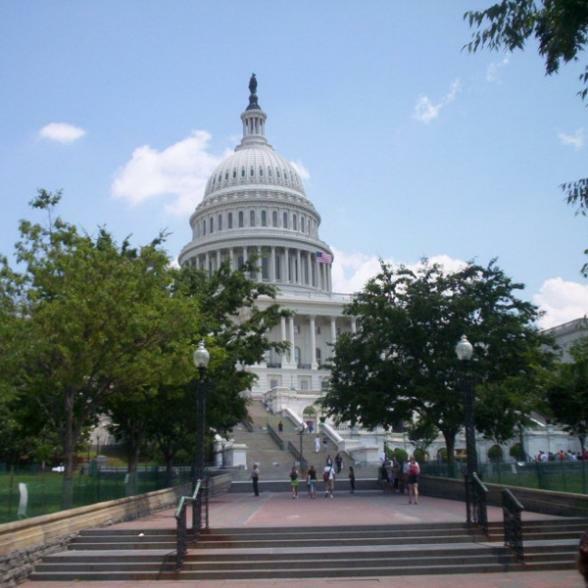 This morning after breakfast, we suggest going first to the US Capitol Building located at the center of Washington, DC. It is from here that the streets fan out in Northwest, Southwest, Southeast and Northeast directions in the city. The National Air and Space Museum, home of the first US space capsule and other first in flight icons is nearby. It is the most visited attraction in the city. The Washington Monument also requires free tickets distributed for the day’s visit. With your timed visits arranged, in between you can enjoy the National Gallery of Art at any time during the day. Both the East and West wings are worth the trip. There is a restaurant at the top of the East Wing that looks out over the vast contemporary space. Today’s suggestions will take you up the hill in Washington to the National Zoo and National Cathedral. Then it’s back down to the Mall to see the Jefferson Memorial and the Franklin D. Roosevelt Monument. Nearby, the National Cathedral was under construction for more than 100 years. Views of Washington DC are spectacular from the top. After your tour of the sanctuary part of the building, make sure to go underground where there is a labyrinth of spaces, catacombs and more. On a nice day, the Jefferson Memorial, which is set apart by itself from the rest of the mall, can be a very serene place. The famous cherry trees, a gift from the Japanese government that bloom every spring, surround the Tidal Basin in front of the Jefferson Memorial. President Franklin Roosevelt’s monument is a moving experience, especially when you learn more about the mission of Roosevelt’s administration to pick up the country during the Depression. While you are in the vicinity, the World War II Memorial, the Korean War Memorial and the Vietnam Memorial are all very moving and each dramatically different. Take some time to stroll whichever are of interest. Visit the White House Visitors Center at 14th and Pennsylvania to get a glimpse of life in the White House. Exhibits there do a good job of illustrating the history and story of the White House and how it came to be. At some point during your visit to Washington, DC, we suggest visiting the United States Holocaust Memorial Museum where you also need timed tickets. If your tickets are not exactly at the time you arrive, visit some of the other museums on the Mall while you are waiting. At the end of one of your days here, we suggest visiting the Kennedy Center, where you can tour the building even if a performance is not scheduled. 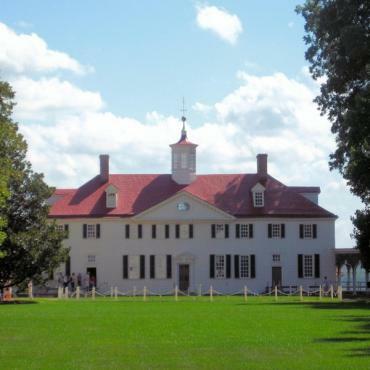 Today we suggest a Potomac River Cruise to Mount Vernon, George Washington’s home. The whole trip takes about 6 1/2 hours with the cruise and tour of the home and grounds. The first president’s home is the most visited house museum in America and rightly so. Newly constructed exhibits illustrate the life and times of George Washington in great detail, interpreting his lifestyle well beyond the confines of the historic house. If there’s any time remaining today when you return from Mount Vernon, consider visiting Theodore Roosevelt Island, the only monument to President Teddy Roosevelt in Washington, DC. It’s a fitting, environmentally wonderful place, for the president who started the National Park system. As you leave the city today, you can be confident that you’ve enjoyed a trip that few take in its entirety. As America’s first colony, Virginia is a unique place. Your adventure doesn't have to end here, however. Why not extend your stay and visit Philadelphia or New York city before heading back to the UK? Call the travel experts at Bon Voyage to discuss your ideal Virginia adventure.